A US high school student accused of cultural appropriation for her Chinese-style prom dress is receiving support online from some of the very people her critics say she offended. A United States high school student accused of cultural appropriation for her Chinese-style prom dress is receiving support online from some of the very people her critics say she offended. 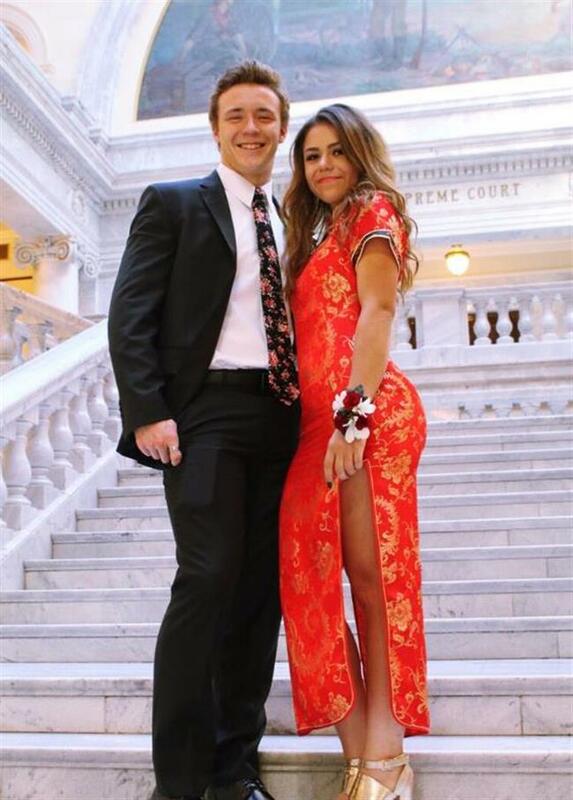 Photos posted on Twitter by 18-year-old Utah resident Keziah Daum showing off her traditional cheongsam, or qipao, quickly went viral. Many accused Daum, who is not Chinese, of disrespecting Chinese culture and trivialising it with her wardrobe. "My culture is NOT your goddamn prom dress," said one Twitter user, Jeremy Lam, whose comment has been retweeted nearly 42,000 times. "For it to simply be subject to American consumerism and cater to a white audience is parallel to colonial ideology." But many users of China's social media came to Daum's defence, calling it "cultural appreciation" instead. "The girl in a cheongsam looks beautiful. Isn't it a good thing that our culture is appreciated by people from other countries?" one user said on Weibo, a Chinese Twitter-like social media platform. The original qipao was wide and loose. With time though, it evolved to become tighter and more revealing. The modern version was first popularised in 1920s Shanghai and made fashionable by socialites there and in Hong Kong. The dress is not considered exclusive to Chinese, however: U.S. First Lady Melania Trump wore a cheongsam during a visit to Beijing in November. "I really don't understand why those foreigners on Twitter are so irritated," another Weibo user wrote. "If foreign people cannot wear Chinese outfits, they'd better not eat Chinese food anymore either."